Wow. If you’re like me and you love the I-can’t-breathe-without-you type romances, you need to read this. That’s if you haven’t already, I’m a bit behind on starting this series. But I do have the added advantage though. I have all three books here, so I don’t have to endure the torturous wait in between each of them. 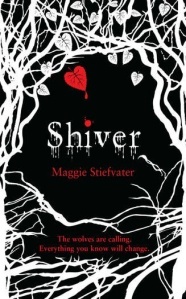 Shiver is a werewolf book, although it’s handled differently than any of the others I’ve come across, and I like it. It’s fun, it’s emotional, but most of all, it’s addictive. Why I chose to pick this up right before bed time is beyond me. You need to clear out your schedule because it will pain you to put this book down when sleep creeps up on you. The blurb pretty much sums up the basis behind these wolves. When it’s cold, they’re wolves and when it’s warm, they revert to their human selves. The only problem is that eventually it takes more and more heat before the wolf will let go. So eventually, their humanity will be lost to them forever. Sam, now eighteen, was bitten as a child. Back then, he came across his fellow wolves starving in the cold, attempting to eat a little girl. Rescuing Grace from their clutches, she became obsessed with wolves, always searching for hers in the woods lining her house each year. That is, until she stumbles upon him in his human form. The book is told in first person, alternating between both Grace and Sam. It’s done really well, never feeling disconnected or confusing as each has their separate definable voices. The plot may have progressed slowly, although the book never felt like it dragged. Like the two main characters, I easily found myself attached to them, grinning with enjoyment at the simplest of interactions. I love when books bring that feeling out in you, one where nothing exists, but you and the characters. Grace and Sam do fall into a relationship-state quite quickly, although the years of longing on both their parts between her and him as a wolf, do mitigate the problem of insta-luv. The parents. Although, they weren’t dead like so many other books, they were distant. In a sort of role reversal, Grace was the mature one cooking the meals, always home, while her parents could be aloof, slightly careless, staying out well past midnight most days. This wasn’t a problem for me though, I like seeing families other than the norm, rather than carbon copies of real life. It’s escapism after all. Plus, it led to a lot of Grace and Sam alone time, which was perfectly fine with me. Sam’s had a painful life, which he expresses through his love of poetry and song writing. The depths to his character are treated well as they build throughout the story. In fact, each character is more than a one dimensional layout. Others that may have seemed shallow, mean or laboured started to develop into themselves, taking on a new light. Grace as a leading female, didn’t disappoint either. Many times in these paranormal romances, you’re left wondering how these girls managed to stay alive this long with the amount of danger they throw themselves at. Grace, while not always perfect, had a mind for plotting. She was able to think ahead and keep control of herself when others needed it. I loved that rather than using outside forces for plot derailment, that the werewolf aspect itself was the curse plaguing them. There’s a niggling feeling throughout as Sam battles to stay human. Normally werewolves are only trapped by the full moon, either that, or they can change at will. But the idea of temperature controlling them, it was such an interesting concept. It’s well thought out and provides lots of plot opportunities. I especially enjoyed the characters theories on ways to beat it as it showed them actually thinking. The general flow of the book played out how I expected, although I enjoyed it nonetheless. I’m starting Linger straight after this one, I can’t wait for more. Those seeking a differing take on the werewolf lore and an engrossing teenage romance. I’m SO glad you’re really loving this series, just in time for Maggie! Now you can see why I was so excited when I saw she was doing a workshop here – and why I just felt like I HAD to go. This series is one of my alltime favourites! I love this series, too. 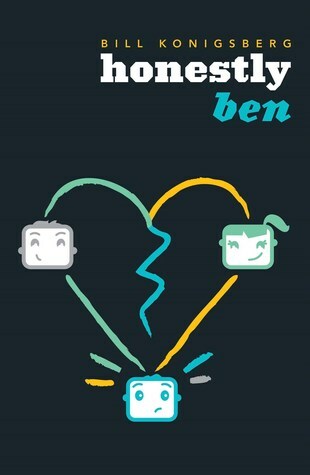 I don’t usually love romances, but I got swept up in this one and thought it was a beautiful, touching love story. I hope you like Linger. Great review Brett. Glad you liked it 🙂 I’m a fan of the series and think that book 2 and 3 are even better than Shiver, so hopefully you will love them just as much as I did! Although I have Linger and Forever, I’m stopping after Shiver for now. That said, this book was such a beautiful, poignant read that had such a lovely quality about it. Maggie certainly has a way with words. The thing I loved most about it was that although there was the issue of changing into a wolf, they were never werewolves per se, and the story was very much about being human.